5:00PM EST 2/13/2019	 James A. Smith Sr. The executive committee of the National Religious Broadcasters received notice on Feb. 12 of the resignation of Dr. Jerry A. Johnson as president and CEO of the organization. In a letter to Board Chairman Michael Little and Vice Chairman Ed Cannon, Johnson said, "With conviction that my work as president and CEO is concluded at NRB, I hereby submit my resignation, effective March 1, 2019. It has been a joy to serve the NRB family for over five years. I hope and pray for God to bless them in the days ahead." Little said: "Dr. Johnson has led NRB well, and his tenure has been marked by significant growth for our association in a number of ways. I have enjoyed my time working with Jerry for nearly two years as chairman of the NRB board. We will miss him, and we are praying with him as he begins his transition." He added, "Dr. Johnson's departure from NRB leaves no question about his outstanding moral character. Given the days in which we live, I feel obligated to make this clear." Little reported that Troy Miller, executive vice president and COO of NRB, will assume the senior administrative duties at the NRB headquarters. The board of directors will meet at the end of March during NRB's annual convention and will review plans for future leadership. Miller complimented Johnson for his leadership of NRB. "It has been a joy to work with him. I'm particularly grateful for his spiritual example to the staff, board, members and the general public," he said. Little encouraged NRB members to be in prayer for the executive committee and board of directors during the presidential transition. "The mission of NRB remains vital to Christian ministries, businesses and individuals. Today's communications marketplace is one of an alarming escalation in hostility to First Amendment rights of Christians. The defense of religious freedom, speech and press is uniquely in NRB's DNA and has been since our founding 75 years ago. That conviction ungirds our mission today and beyond." Miller pointed with expectation to NRB's convention, Proclaim 19, next month in Anaheim, California. "We are excited about Proclaim 19, where we will launch a celebration of NRB's 75th anniversary," Miller said. "We have an incredible line-up of speakers, film screenings, professional development sessions and exhibitors. This is the must-attend event for all Christian communicators." 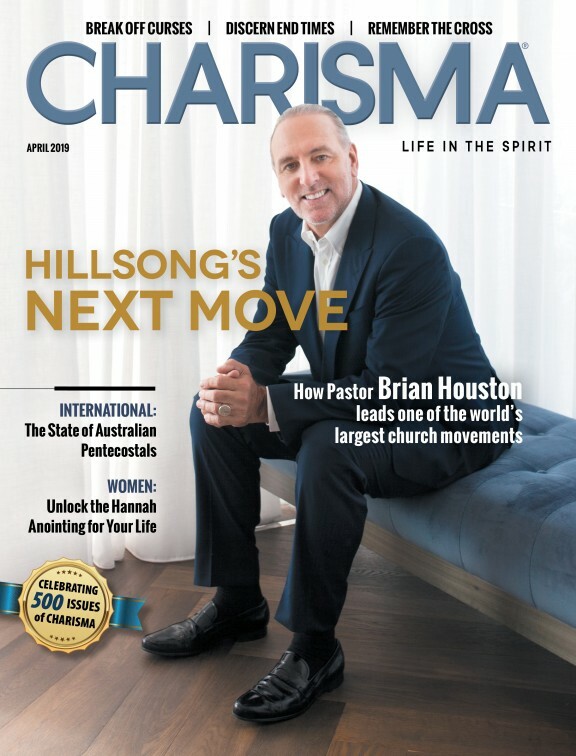 Listen below to Johnson's interview with Charisma Publisher and Executive Vice President Dr. Steve Greene.